Conducted in Conjunction with Lambrecht Auctions Inc. 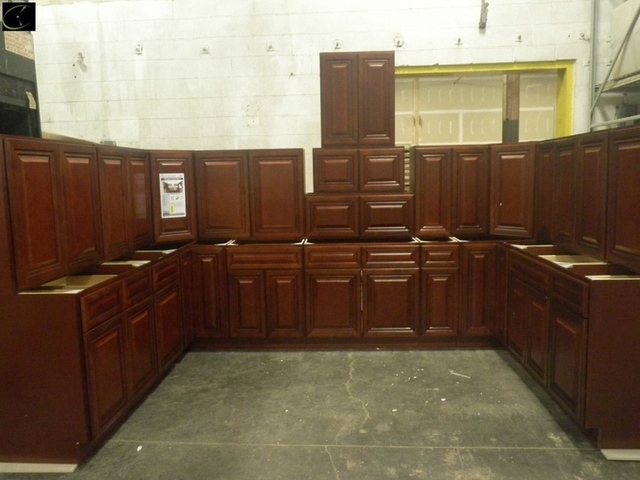 Complete Kitchen Sets: 10 Sets, Multiple floor plan options of various sizes and features. Some Layouts are very large!! All Sets are BRAND NEW, quality built, plywood construction, with solid wood faces. Ordering availability for extra pieces and accessories. Sets offer options such as pantries, lazy Susans, wine racks, oven cabinets, drawer bases, and more. Auctioneer Note: Auction is in Partnership with Absolute Auction & Realty. The pickup will be conducted at their facility and the bidding will take place through their Auction Platform. Pickup must be completed by Friday, February 22 at 3PM.